For those of us who are parents, our children are the most important part of our lives. We do just about anything to keep them safe and put their well-being ahead of our own. When it comes to divorce, both parents remain responsible for sustaining any children, and part of this often takes the form of Oregon child support. These ongoing payments are designed to provide for the continuing financial benefit of any minor children. In Oregon, child support is often one of the biggest post-divorce expenses you encounter. Making sure you know what to pay, and why, is an important facet. 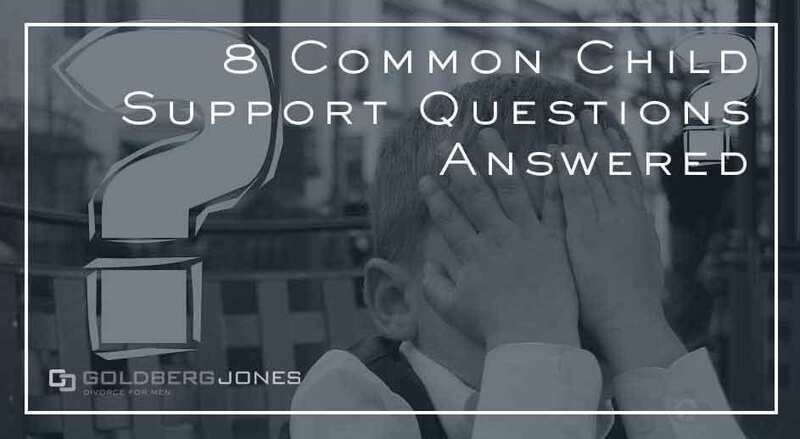 With that in mind, here are eight important and frequently asked questions regarding Oregon child support. By no means an exhaustive list, this should hopefully provide a broad idea of what to expect. After a divorce, the court generally awards child support in Oregon to the custodial parent. These payments cover the general care and well-being of children under the age of 18. In certain circumstances, these payments may also continue until the child turns 21 or beyond. Essentially, if it plays a part in caring for a child, it falls into this category. While child support covers the needs, it doesn’t necessarily cover the wants. Extras can figure into the decision, but ultimately the court only takes necessities into account. How Do Courts Determine Child Support? A variety of factors determine the amount of child support payments in Oregon. The court considers the needs of the children, as well as each parent’s income and ability to pay. Things like debt, regular payments like union dues or spousal support, and other financial elements play a part. There’s a formula to figuring out child support. When determining child support in Oregon, the courts look at your gross income. As opposed to your take home pay, this number is what you earn before removing any deductions. This includes monthly salary before taxes, and also accounts for income coming from other sources, like bonuses or commissions. Does A New Spouse’s Income Impact Child Support? After a divorce, it’s common to establish a new household with a new spouse or partner. One question that arises is whether or not this person’s income impacts your child support? In general, no, this doesn’t change your child support in Oregon. Only your income and that of your ex figure into the calculation. That said, it’s rare, but in some situations, the court may consider the overall financial situation in a household, and that may also include income from a new spouse or partner. Child support payments are often steep and can represent a financial hardship on the payer. The good news is it’s possible to modify a child support agreement. The bad news, however, is that like most cases trying to change a court-issued decree, it’s difficult. The best way is to dispute the amount before it becomes final. In Oregon, you can request a hearing to present evidence to rebut a proposed amount. This goes both ways. Either parent can use this opportunity to argue that the number should be higher or lower. Things become harder to deal with once the court orders Oregon child support. It can be done, but it’s a longer, more difficult process. If there’s been a significant change in circumstances, you can petition the court to modify. Most often a change in circumstances represents the loss of a job, but there are other cases. A new baby is one example, as is a substantial shift in the amount of time your child spends with you. In cases like this, the court may alter the payment amount. When Does Oregon Child Support End? As per ORS 107.108, Oregon child support can last until 21 if he or she attends school. This covers a broad spectrum of educational possibilities. It includes high school, community college, and four-year universities. Professional, vocational, and technical training designed to increase employment prospects also fall under this umbrella, as do GED programs. Additionally, if a child has special needs and requires lasting parental care, the court may also order payments to continue. Oregon child support, as well as elsewhere, is complicated, layered, and depends on many factors. These are just a few of the questions bound to pop up as you go through the process. Hiring an experienced child support lawyer to guide you along may be in your best interest. Spending a little bit of money now to avoid pitfalls can save you much more in the long run. Hi Heath, thanks for reaching out. That’s a complicated situation. I passed your contact information on to our managing attorney, Colin Amos, and he should get back to you soon to let you know your options! My husband pays child support for two children from previous relationships. We are having a baby and now have one of his sons everywhere weekend. So he has partial custody now. How do we go about getting things changed with child support? Thank you for reaching out with your questions. Child support modification is complicated, so I passed your contact information along to Colin Amos, our managing attorney. He will reach out to you before long to talk about the specifics of your case and give you an idea of what options you have. My husband has 2 children from a previous marriage that he has been paying child support for. The youngest is close to being 21 and is not in school, therefore support stopped accruing. As of this month the balance of arrears is $0. How do you get the State to close the case and terminate support garnishments? He was told to file a form with the county “Full Satisfaction Notice”. I saw on the form that the Obligee needs to sign the form for it to be complete. She will never do this. Is there another way around this mess? I would think that since the kid is nearly 21, not in school and the balance is now $0 on the case it should automatically close. Any information would be super helpful! Hi Michelle, thanks for reaching out. That’s a tough situation. I passed your contact information along to our managing attorney, Colin Amos. He will reach out to you with more information about your case and your options. That’s an intense situation, Jose. Thanks for reaching out. I passed your contact information to Colin Amos, our managing attorney. He will reach out with options on how to proceed. Hi! So I am a single father and have full custody of my daughter. Her mom pays very minimal child support and has recently remarried and lives very extravagantly. Our divorce agreement states that things like extracurricular activities, school supplies, etc. are to be split 50/50. My daughter is going to play club volleyball which is quite expensive and I can’t afford it by myself as her mom thinks paying for half is optional. I want her to still play and don’t want to send threats or such to my ex. What steps can I take or even legally safe means of communicated to her mom to receive the financial support she should be giving her daughter? I think she thinks child support is supposed to cover everything. Thanks! Hi Darren. Thanks for reaching out. That’s a complicated situation. I passed your contact information on to our managing attorney, Colin Amos. He will reach out to you soon with more advice on how you can proceed. My ex wife has filed to have our child support reviewed. I have sole custody. We have several medical expenses that my ex should be paying half of. What is the best way to go about getting the proper amount of support? Hi Wes, thanks for reaching out. That can vary a great deal from one case to the next. I passed your contact information along to our managing attorney, Colin Amos. He will reach out to you soon and give you an idea of your options in this situation. My daughter just turned 18 and has dropped out of High School and is working full time and paying her mother rent. She has not attended school for over a year, but since she was not yet 18, I have continued to pay my ordered child support. My child support payments are automatically deducted from my pay checks. My question is, at what point will these payments stop being deducted by the state of Oregon automatically? Since my daughter is going to be 18 and is not a qualifying adult child attending school, it is my understanding that I am no longer obligated to pay support for her, but how do I ensure the payments are no longer deducted? Am I correct that the obligation is satisfied unless she becomes a qualifying adult child attending school? Hi Chris, thanks for reaching out. That’s a complicated situation that can vary. I passed your contact information along to Colin Amos, our managing attorney. He will reach out to you shortly with a more concrete idea of what to expect. What if the parent who the child support calculator determines should be paid child support doesn’t want it? We are doing joint custody and splitting parenting time almost 50/50. My income is higher by about 30%, I am paying medical insurance and child care costs while our son is technically within my ex’s parenting time so that he is able to work. He feels that both of our incomes are sufficient to support our child, and we’ve agreed no child support is needed. Do we still need to fill out Uniform Support Declaration? Hi Kari, thanks for reaching out. That’s a complicated question; there are a lot of moving parts. I passed your contact information on to our managing attorney, Colin Amos. He will reach out to you soon with an answer at no charge. My ex-husband is currently being ordered to pay $200/month for our child attending school. He does not pay this monthly but instead it is paid out his joint tax return with his current wife. He has just file a request for a hearing to modify support. He claims he is unable to work. He claims that he does not get disability and only makes $42/month from his personal photography business. Is it possible that the State of Oregon will really determine child support based on $42/month? Hi Kate, thanks for reaching out. That’s a tricky situation with lots of moving parts. I passed your contact information on to Colin Amos, our managing attorney. He’ll reach out to you soon and hopefully be able to give you a solid answer. A) Request a modification based on child no longer living with mother? B) Pay support directly to child (even thought she will be 17 until 8/18? Hi Eric, thanks for reaching out. That’s a complicated question. I passed your contact information on to Colin Amos, our managing attorney. He will get in touch with you directly to give you a better idea of what options you have. Thanks! Hi, I’ve this question: if a father is paying child support, what bearing, if any, does this have on his taxes? Hi Max, thanks for reaching out. That’s a big question. The short answer is, it has a substantial impact on taxes. I passed your contact information along to our managing attorney, Colin Amos. He’ll be able to provide a more comprehensive idea of what to expect in your specific situation.